It’s that time of year when many people are outside enjoying summer weather. Don’t let ticks ruin your good time! You can protect yourself and your family from tick-borne diseases like Lyme Disease, which is the second most prevalent infectious disease in Massachusetts. In addition to Lyme Disease, the black legged tick, or deer tick, carries the pathogens that cause Babesiosis and Anaplasmosis, both of which are quite serious and on the rise. Come and learn how to prevent tick-borne diseases. 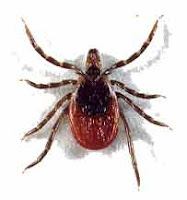 Barnstable County Entomologist Larry Dapsis will review the life cycle and ecology of deer ticks and discuss a three-point protection plan: Protect Yourself, Protect Your Yard, and Protect Your Pet.